Dimensions (WHD): 10.1" x 48.85" x 9.5"
Received mine a few days ago & it is EVERYTHING represented on air. 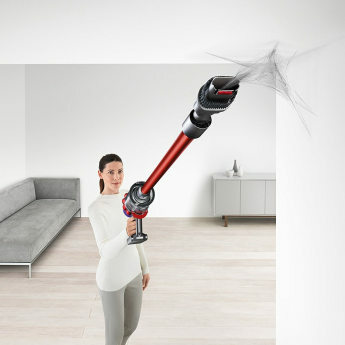 More powere, adjustable suction settings, power head in floor & upholstery tools. The floor dusting aspect is a real winner.. can walk across floors barefooted & feel nothing!Highly recommend for any who may feel doubtful. 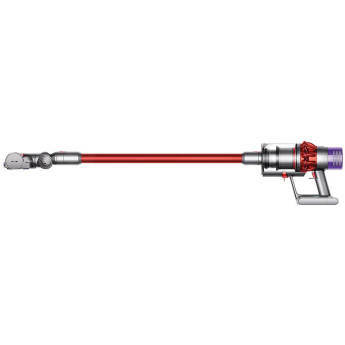 We had a Dyson V8 that I thought was amazing. It got fried from electrical surges (lesson learned - get little surge protectors!). So, to replace it, I bought the V10. 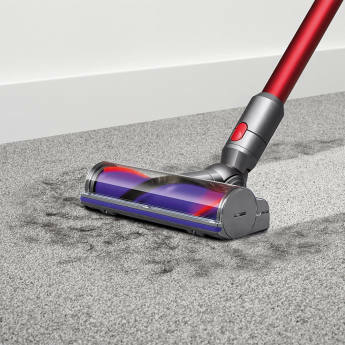 It's easier to hold and use than the V8, and it seems to pull more dust out of the carpets even on the lowest setting. We have had this vac for about two months now and really love it. We have found the battery life to be adequate as long as you don't run it on max setting. We have hard wood floors with throw carpets and 3 dogs. We find the low setting picks up everything we need it to. New V10 works amazing!I choose the motorhead because of lighter weight.I recommend to use this quick home cleaning and quick charge (~2hr). 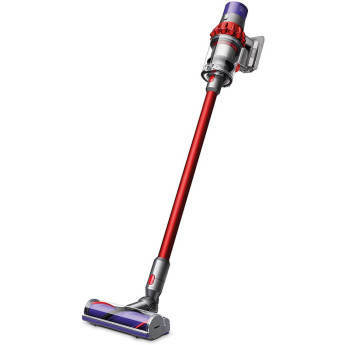 I bought this to replace my Dyson Animal corded vacuum. 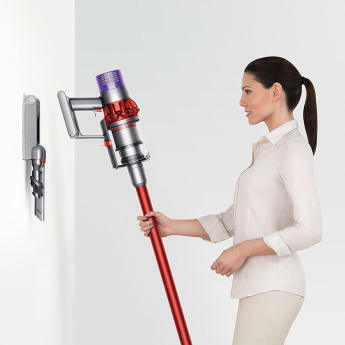 Although I’ve been happy with their corded vacuum, I wanted something lighter and easier to get out for quick cleans. 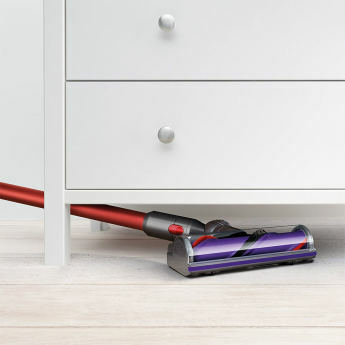 To me it makes vacuuming less of a chore. I am very pleased with the V10 Motorhead. I can vacuum carpet, stairs, hardwood and most any bin, auto, or upholstery on chairs, sofa, etc with attachments. 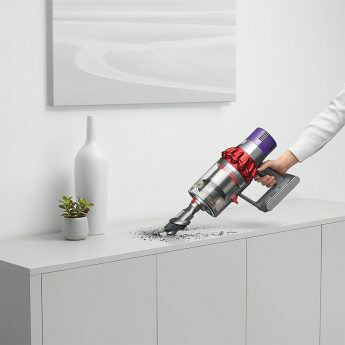 Excellent suction power makes jobs easier. Further, it is lightweight to hold, lift up high for drapery rods, vents, closet rods and hangers.